This warm hoodie in bright green color will keep you company through the cold days in winter and make your days cozier. 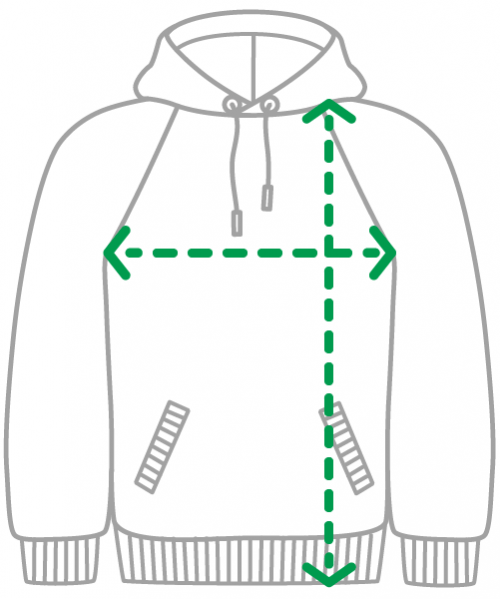 The kangaroo pockets and hoodie are the highlighted features. Here you will find the suitable sizes of our tops. Measure your chest circumference and length as shown in the drawing. Please note that the dimensions are only a guideline and may differ slightly depending on the product.